The University is looking for qualified and experienced individual for the below stated position;The position is based at BIUST Campus, Palapye. The position is offered on contract basis of up to 5 years. To plan, organize, direct, monitor and control all activities related to the African VLBI Network (AVN) project in Botswana especially during the design and construction phases. To plan, organize, direct, monitor and control suitable activities related to Human Capital Development and capacity building initiatives in Botswana with the aim to ensure a suitably trained Botswana team that could be the core staff of the observatory during regular operations and maintenance of the station when installed and ownership transferred to Botswana. To be the link between the Botswana project team, stakeholders and industry and the South African Project team. Minimum experience of 10 years in engineering projects, managing all the aspects related to realization of electro-mechanical systems, plant or equipment on site, starting from concept phase to delivery and operations. Knowledge of project reporting methodology including Cash Flow, Cost-Time S curve, Earned Value. 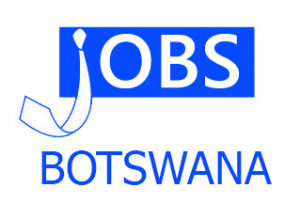 Exposure to a broad range of engineering disciplines and track record of having worked in Botswana industry.